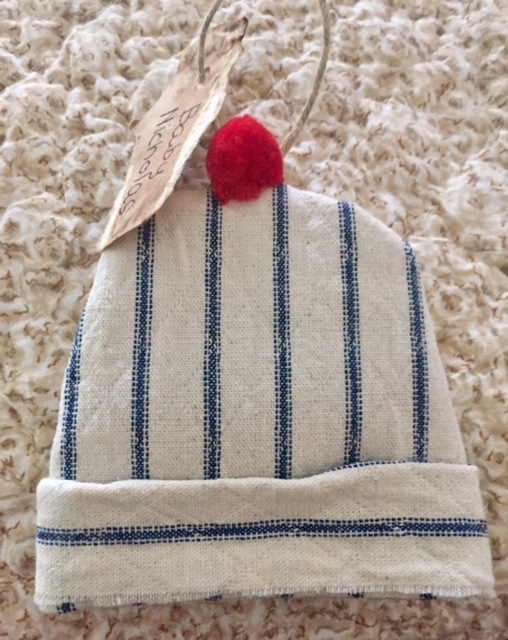 This baby boy hat is made of Vintage french ticking and a red pompom on top. There is some fresh lavender tucked inside. It would look sweet hanging in baby's room and a nice item for your guests to take home! This can be made with different fabrics and colors. Please email me or call!